Yellow Jacket Cigars - Buy Premium Cigars Online From 2 Guys Cigars . 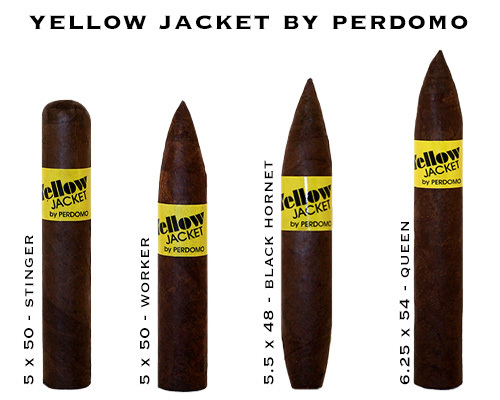 The Yellow Jacket is a hand made from the folks at Tabacalera Perdomo in Esteli Nicaragua. A toothy maduro wrapper surrounds a wonderful blend of complex Nicaraguan & Honduran tobaccos. Well balanced with a little sting best describes this full flavored smoke. The icing on the cake is the price. A terrific cigar at a great price. PLEASE NOTE: YELLOW JACKET IS CURRENTLY SHIPPING IN BUNDLES.